Add some modern glitter to your jewellery box with these glittery 3D silver earrings. These Australian made earrings have 3D printed acrylic shapes which have been painted with glittery acrylic paint. They are very lightweight and comfortable to wear and hangs on sterling silver ear wires. 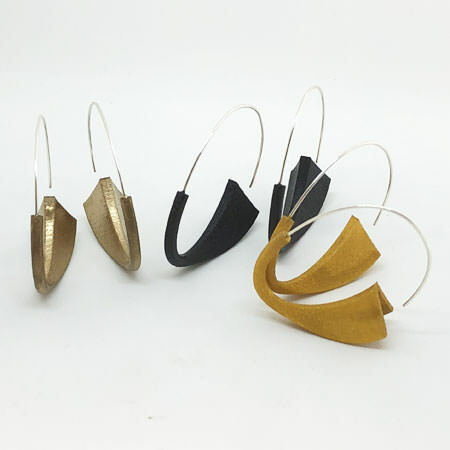 This is a different take on your normal silver hoops and you can choose from 3 different colours: black, gold or copper. Add them to your jewellery box for some pizzazz for your every day wear.